Heckler & Koch HK45 V1 Semi-automatic Handgun. Extensively tested. Operationally proven. 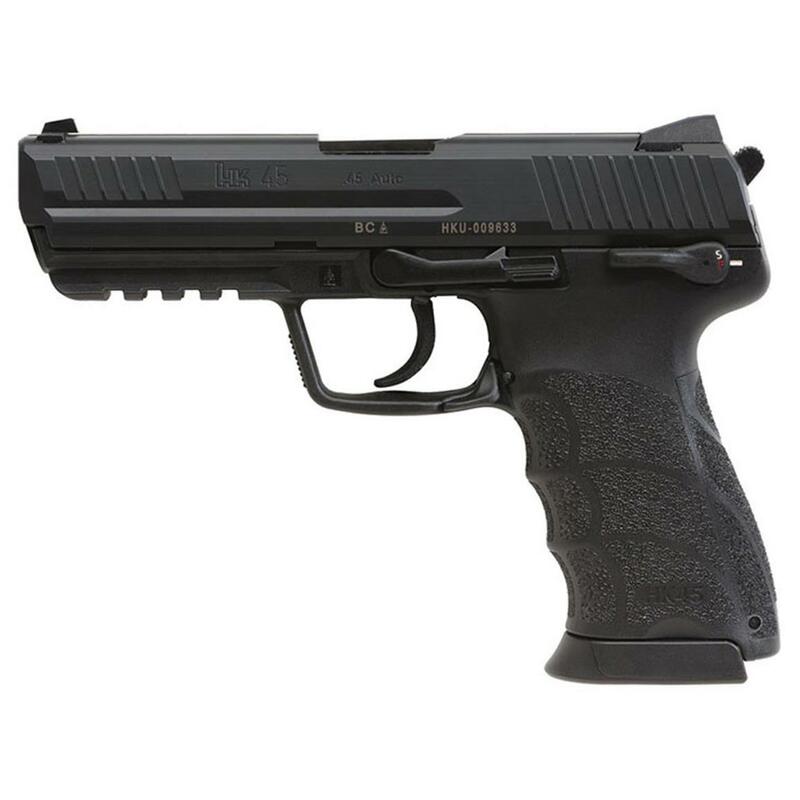 The HK45 combines the accuracy, modularity, reliability and 20,000-round service life of the famed USP45 series with the improved ergonomics of the P2000 series pistols... and the results are as exceptional as you would expect. Quality-built from premium U.S. and German-made components in HK's Newington, New Hampshire manufacturing facility, the HK45 represents the new benchmark for handgun design. And it all starts with the famous polygonal barrel technology, which effectively seals propellant gases behind the bullet increasing velocity and effectively adding to the life of the barrel. But it doesn't end there. HK's unique internal mechanical recoil reduction system reduces the recoil forces imparted to the weapon and shooter by as much as 30%, improving control during rapid firing and increasing component service life. High power, high capacity, low recoil, long service life... there's a reason HK handguns are among the most highly regarded in the world, and you'll know it every time you pull the trigger. Contoured and radiused slide with forward slide (grasping) grooves and anti-glare longitudinal ribs.